Just as mobile operating systems have ways to limit the access each app enjoys, Google Chrome has a straightforward permission control menu to restrict extension access. Here’s what you need to know about how permissions work, and how to use Chrome to control them. How Do Chrome Extension Permissions Work? Each “permission” is an atomic component in the Chrome API. Each permission only handles one aspect of how Chrome taps into your OS, and the data on it. To gain access to all the API elements it needs to function, an extension must ask and receive approval for each permission individually. Extensions are also required to list all the permissions they need in the “manifest” file, which tells Chrome what to download and set up on installation, and provide a legitimate justification for each one. This lets Chrome easily keep track of all the points of access the extension uses. Not all of these permissions are visible to the user, since tweaking certain low-level permissions would break the extension completely. However, Chrome exposes many of the ones most pertinent to privacy considerations for users to review. Chrome features a menu for viewing these exposed permissions for all your installed extensions in one place. Select the three vertical dots in the upper-right of the browser. Hover the mouse over More tools. Select Details for the extension whose permissions you want to modify, and Chrome will pull up a page with all the settings options for the extension. Scroll down to the Permissions section and you'll see a bullet point list of the permissions the extension requires, as well as an extension-specific configuration interface below it. Select the dropdown menu to limit which websites the extension may be active on, then select On click, On specific sites, or On all sites. Not all extensions have a bulleted list of their permissions. Scroll down a little further and select Extension options. Either a pop-up menu will surface, or a new tab will open with the extension’s full settings panel. 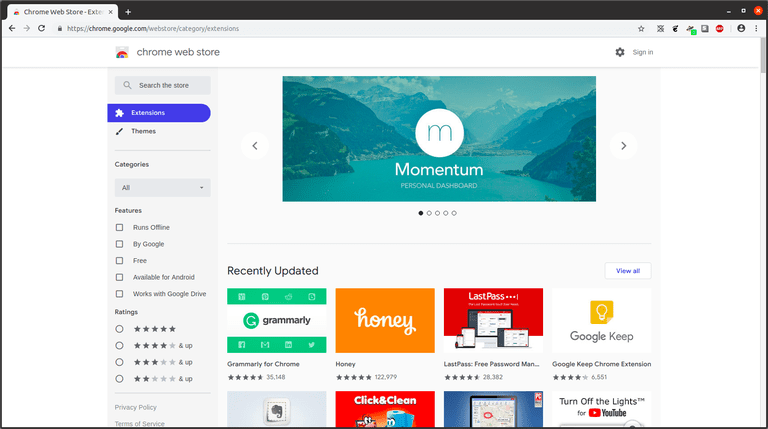 Regardless, the presented menu will provide options for managing any functionality, UI, and permissions Chrome didn't present on the extension’s Details page. Once the extensions settings are to your liking, that’s it. You’re all done, and you can close both tabs.